A member of the theology faculty since 1993, Ryan is the John Cardinal O’Hara, C.S.C., Associate Professor of Christian Ethics. She previously served from 2001 to 2004 as an associate provost at Notre Dame. Ryan replaces Daniel J. Myers, who recently was appointed provost at Marquette University. Her primary responsibilities will involve partnering with deans, department chairs and others to address a multitude of issues affecting faculty life, ranging from the Dual Career Assistance Program to the Kaneb Center for Teaching and Learning. Other duties will include overseeing faculty orientation activities and the procedures for evaluating teaching, handling faculty misconduct charges and serving as the University’s point person with the regional accrediting organization. Currently, academic units reporting to this position include the Office of Digital Learning, DeBartolo Performing Arts Center and the Snite Museum of Art. In addition, Ryan will be a member of the President’s Leadership Council. Ryan earned doctoral and master’s degrees in religious studies from Yale University, a master’s degree in theology from Boston College and a bachelor’s degree in philosophy from St. Bonaventure University. Prior to coming to Notre Dame, she was a faculty member at the College of the Holy Cross, the University of New Haven and Albertus Magnus College and a visiting scholar in the MacLean Center for Clinical Medical Ethics at the University of Chicago. Ryan received a Henry Luce III Fellowship from the Association of Theological Schools in 2007-08 and served on the editorial board of The Cambridge Dictionary of Bioethics in 2010. She is the recipient of a Lilly Teaching Fellowship and received a John A. Kaneb Teaching Award from Notre Dame in 2001. 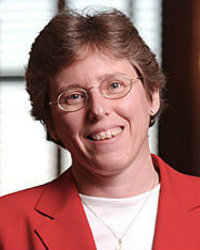 In addition to her teaching, research and administrative work, Ryan has served on numerous University committees, including the Academic Council, the University Committee on Cultural Diversity, the University Committee on Women Faculty and Students and the University Task Force on Gay and Lesbian Student Needs. Originally published by Dennis Brown at news.nd.edu on May 12, 2015.